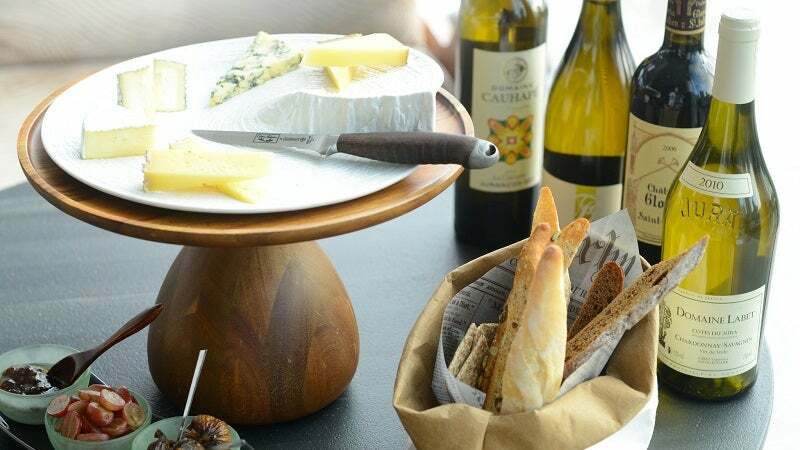 If you're not sure what type of wine you should serve alongside that fantastic looking cheese plate from your local deli, reach for your favourite bottle of white. Here's why. While researching flavour combinations and tasting experiences at the Centre des Sciences du Goût et de l'Alimentation (CGSA — Centre for Taste and Feeding Behaviour), sensory scientist Mara Galmarini found that red wine is hit or miss when it comes to cheese pairings — never in between. As Galmarini explains to The Salt, white wine lowers the risk of creating an unpleasant pairing. If you're serving several different types of cheese, like a cheese plate, it's better to serve white wine. Ed Behr of the Art of Eating newsletter agrees, noting that most red wines are "completely unrefreshing". And refreshing — with a touch of dry sweetness — is what you want when cheese is playing a major part of your meal. So, when in doubt, go with a white wine. No way, a good Liqueur Muscat is best. Especially with good stinky or blue cheeses. Following that, a Tokay or Port. A white port might be interesting ... I haven't tried that. With such a variety of white wines and cheese flavours, you need better advice than what was suggested. Blue vein cheese, fruit cheese, Camembert are all distinctly different. Moscato, Chardonnay, Sauvignon Blanc are all distinctly different. You may also want to compliment the meal you cooked. A grilled fish vs a cordon bleu should also impact how you pair your wine and cheese. Maybe try this site that names some suggestions. I didn't look at them.